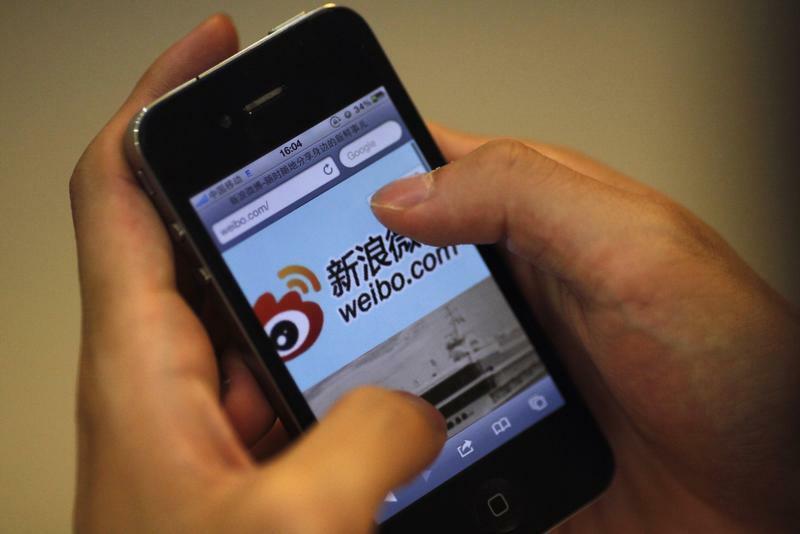 Weibo’s planned initial public offering stretches financial logic. Listing a $500 million stake in China’s version of Twitter looks like a response to sky-high tech valuations – most recently Facebook’s $19 billion acquisition of messaging service WhatsApp. But investors can already buy shares in parent Sina, whose value is mostly made up of Weibo already. They should be skeptical about the idea that two plus two is five. With over 61 million active users a day, Weibo is one of China’s most hyped social networks. Yet owner Sina Corp, which also operates web portals, has only lately started to try and monetize it. Revenue from the microblog grew 34 percent in the quarter ending Dec. 31 to $71.4 million, compared with the previous three months. A chunk of that came from a tie-up with e-commerce giant Alibaba, which owns 18 percent of the microblog, with the option to increase to 30 percent. Sina is now seizing on red-hot tech valuations to plan a listing of a minority stake in Weibo. Indeed, since Alibaba bought its stake in April 2013, valuing the microblog at $3.3 billion, Weibo’s prospects may have increased dramatically. Assume Weibo’s revenue continues to grow at about a third, quarter on quarter, for the next year. It could potentially make around $620 million in revenues for 2014. Apply an earnings margin of 30 percent, comparable to gaming group Tencent and search engine Baidu, and the same valuation multiple investors give to parent Sina, and Weibo could be worth over $5.5 billion – an increase of 67 percent in less than a year. Sina’s own share price over that time has increased by just a third. The question is why investors would give a higher value to Weibo after a partial spin-off. Sina’s 70 percent share of a theoretically listed Weibo is already the lion’s share of its market capitalization, which increased just 4 percent on Feb. 24 to $5.1 billion. And Sina’s structure isn’t complex – its only other business is a shrinking web portal division, so it’s unlikely investors are missing something important. Chasing hot valuations is understandable, but investors should be wary of what looks like an attempt to create something from nothing. A man holds an iPhone as he visits Sina's Weibo microblogging site in Shanghai May 29, 2012. Sina Corp, which operates Weibo, the Chinese microblog, as well as a web portal, has hired Credit Suisse and Goldman Sachs for an initial public offering in the United States for Weibo, Reuters reported on Feb. 24. The IPO is expected to raise $500 million. Sina’s earnings for the fourth quarter of 2013 was $44.5 million, compared to $2.4 million for the same period last year, the company reported on Feb. 24. Revenue for Weibo increased quarter on quarter by 34 percent, from $53.4 million to $71.5 million. Alibaba, the Chinese e-commerce group, bought an 18 percent stake in Sina Weibo for $586 million in April last year. The two companies have a partnership to jointly develop a payments system on Weibo, and Alibaba has the right to increase its stake to 30 percent. The Nasdaq-listed Sina Corp’s shares rose 4.3 percent on Feb. 24 to $76.08, giving the company a market capitalization of $5.1 billion.